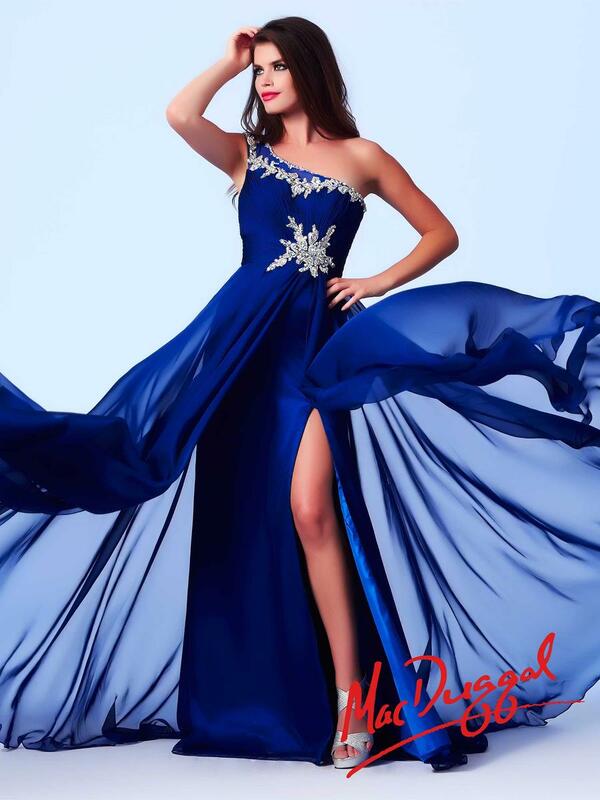 Stir up Prom and create some excitement in this fantastic long prom dress. The beading along this gown is exquisite! From the illusion one shoulder strap to the cluster of AB stones and beads in the center, this dress is the perfect choice for someone who really wants to make an entrance. You will dance with grace and ease all night long in this soft, chiffon dress with break-away skirt.